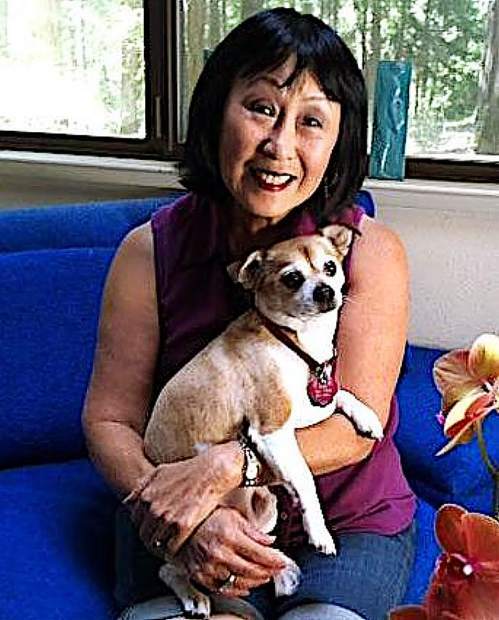 Two pit bull mixes that attacked and killed a leashed Chihuahua on Feb. 17 and injured its owner have been ruled “potentially dangerous” after a hearing in Nevada County Superior Court. Darla and Blueberry Pie now are subject to a stringent set of safety measures that include spaying and either being indoors or in a securely fenced yard at all times. If they are off their owner’s property, they must be restrained by a substantial leash and muzzled, and must wear an orange collar. Their owner, Brittany Sanchez, must also obtain $100,000 liability insurance on each dog. Sanchez, who previously defended her dogs in an interview with The Union, was a no-show for the hearing Wednesday morning. She will be mailed a notice of the judgement, said Nevada County Animal Control Officer Stefanie Geckler. According to Geckler, Sanchez must complete all the requirements and have the county inspect her property within 35 days. During the hearing, Wood described the attack that led to the death of her 13-pound pet. “I was petrified,” she said, adding she could not remember all the details. Sanchez, who was not outside during the approximately two- to three-minute-long attack, accused her of provoking the dogs, Wood said. Wood described the injuries that Scooter sustained as including a hernia, multiple puncture wounds on his back, and a leg out of its socket. He was taken to a vet in Roseville and underwent surgery, but died two days later. Wood herself was injured trying to break up the attack, sustaining puncture wounds on her hands and a broken finger. Several residents of the area also testified to the dogs’ continued pattern of aggressive behavior. Crystal Payne said she had been walking her dog on Feb. 1 when the two pit mixes and a Doberman came off Sanchez’s property and surrounded her. “I was afraid to move,” she said. According to Payne, Sanchez did not come to help, although she was in her yard, and claimed that her dogs had never done that before. Morris Hervey, an avid runner who lives a half-mile from Sanchez, testified to two separate incidents. According to Hervey, the two big pit mixes came rushing down from her property as he ran by about a year ago. About two months ago, Hervey said, he witnessed the dogs charge down toward a couple walking a small dog on a leash. Hervey said one of the dogs did leave the property, but stopped and went back when the smaller dog’s owners began yelling and waving their arms. He described the couple as being very shaken, and said they “exchanged words” with Sanchez. Geckler told Judge John H. Darlington that it was clear both dogs met the legal criteria to be deemed “potentially dangerous,” adding that Sanchez did not take responsibility for their actions and could not keep them contained. “It’s heartbreaking that Scooter had to die to get this case to court,” she said. After hearing the testimony, Darlington signed the paperwork, which designates the two dogs as dangerous for a period of three years.